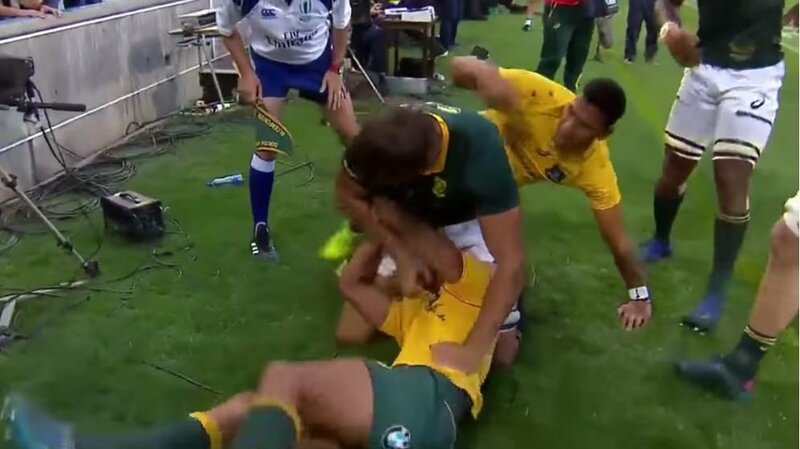 This clip throws up many questions, the main one being, if Folau pulls another player’s hair, is it okay? The answer to that question is probably yes. This is clearly how the ref interrepts in any case, and scolds Bruno as a result.